Picturing Disney: Make your own Disney Vacation Fund Jar!! 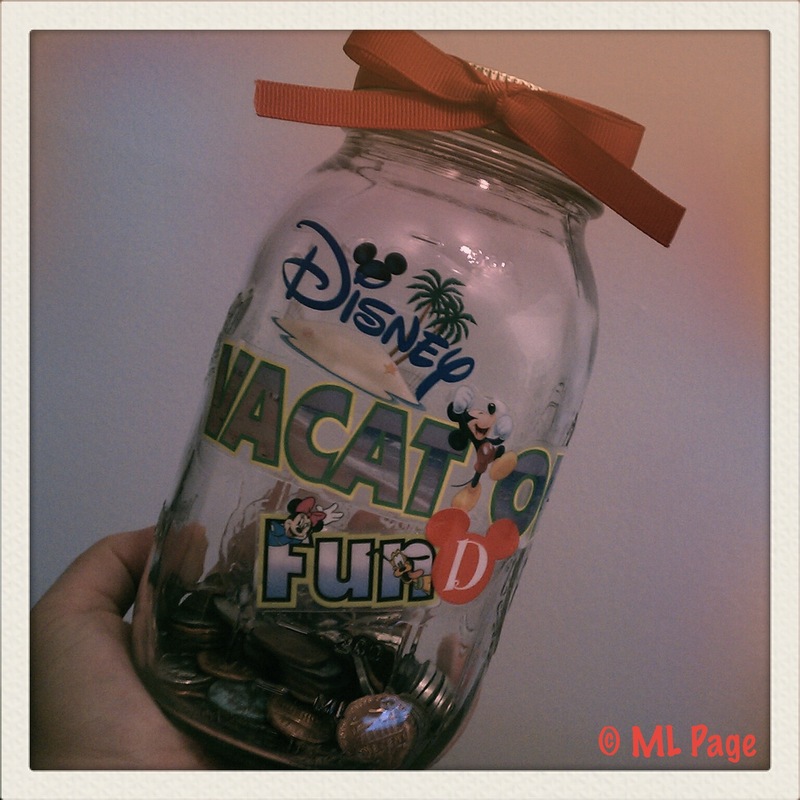 So before I post the instructions on how to make this cute (and super easy) vacation fund jar I had to share this... I just want to give credit where credit is due. This came to pass after a few different pins I saw on pinterest but they lead to deadends so I can't give proper credit. All I can say is I was inspired by other amazing crafters (and if you are one of them email me and I will edit this)! Once you have your supplies, all you need to do is: Decorate your mason jar!! I used supplies I hadn’t had a place for from my scrapbooking collection so I had stickers that worked and some red ribbon to make a bow around the lid. Note: If you use a mason jar that has anything imprinted on it you may find that you are stuck with either cutout letters or stickers that won’t stay put so rub some tacky glue or modge podge (really any glue that dries clear) right on overtop of your decorations and voila! 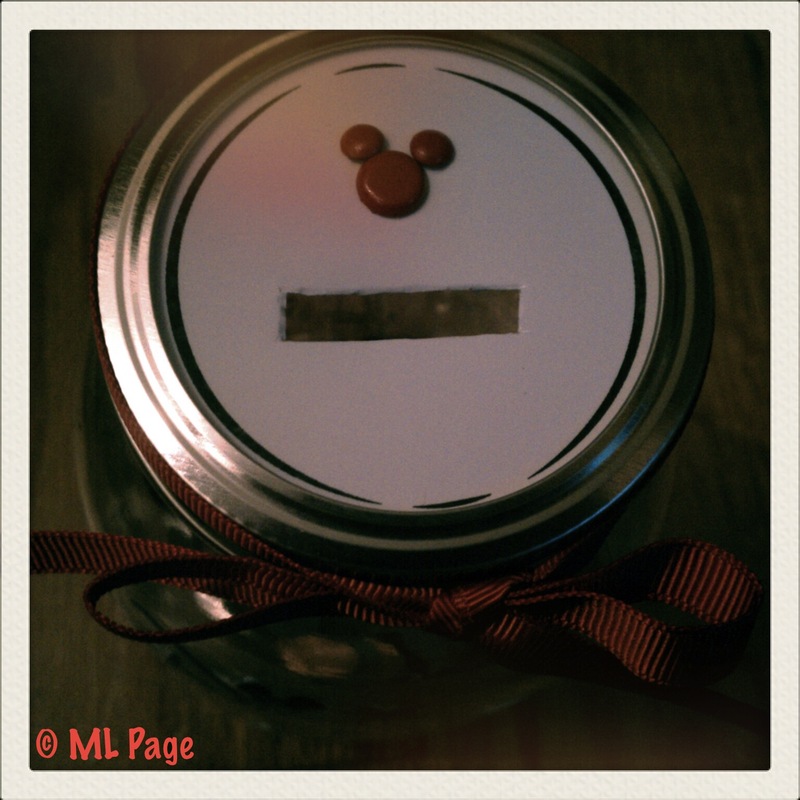 Then cut a circle in your card stock matching your jar lid and a small slit in it that can slip coins through. Want a printable PDF of this craft? Head over here!